Archaeology - Crossrail . For information about the Elizabeth line please visit the Transport for London website. During construction, Crossrail undertook one of the most extensive archaeological programmes in the UK. It presented an opportunity to preserve finds for archaeological study and inform wide audiences about the rich history of London. Since construction of the Elizabeth line began in 2009, over 100 archaeologists have found tens of thousands of items from 40 sites, spanning 55 million years of London’s history and pre-history. The new railway runs east to west through some of the capital’s most significant historical areas. The project has given archaeologists an exceptional opportunity to reveal the layer cake of history that is hidden below the city’s streets. More than 135 learning events were delivered. In addition, school children and members of the public were invited to participate in site based events and to assist in some of the historical research associated with the burials found at Bedlam. The public programme culminated in a final exhibition in 2017 that showcased 500 of the most exciting discoveries on the project. Delivered in partnership with the Museum of London Docklands, the ‘Tunnel: the archaeology of Crossrail’ exhibition received 96,750 visitors – the highest ever at the venue – and a further 7,324 event participants. A virtual version of the exhibition Tunnel: The Archaeology of Crossrail at the Museum of London Docklands gives people the chance to explore the huge array of artefacts unearthed by Crossrail during construction of the Elizabeth line. 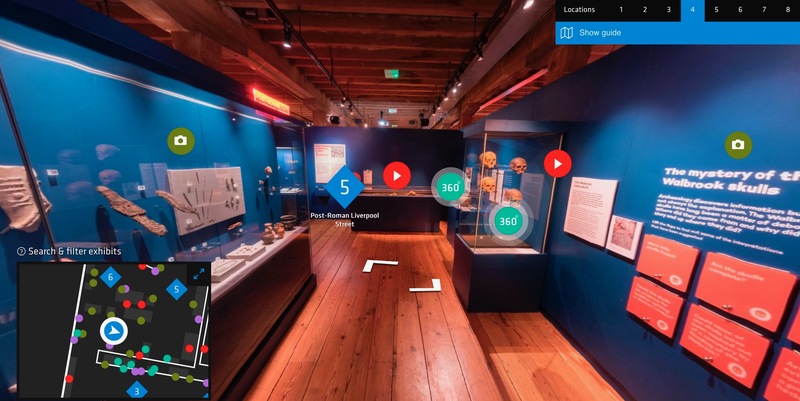 The immersive website was created using a series of 360-degree panoramic images from the exhibition. The online exhibition takes visitors on a journey along the route of the new railway, with photographs and footage captured during archaeological excavations revealing the stories of Londoners ranging from Mesolithic tool makers and inhabitants of Roman Londinium to those affected by the Great Plague of 1665. Visit https://archaeology.crossrail.co.uk/ to explore our online exhibition. Numerous publications have been written about the discoveries. This includes 20 professional and technical papers, a series of 10 archaeological books setting out the key discoveries and a consumer book alongside the exhibition. The discoveries unearthed during the construction of Europe’s largest infrastructure project are explored in a series of ten new books by Crossrail, Oxford Archaeology, Ramboll and the Museum of London Archaeology (MOLA). Discover more about Crossrail project books available to purchase. Crossrail’s archaeology programme has produced an extensive ‘grey literature’ library (grey literature is the term for content produced in the course of research which does not form part of the eventual published academic papers). This consists of built heritage and archaeology fieldwork reports, desk-based assessments, and Written Schemes of Investigation (WSIs). Visit the Crossrail Learning Legacy website for free, public access to the library of documents.